On Denial. And Growth. And Love. Located at the Loew's Regency Hotel, this "Happy Hour" consisted of yummy treats, delicious foods, tasty cocktails, and my personal favorite, lovely Bloggers. But let's not forget about the toys. Oh, the toys! It was hard to choose, but here are some of my favorites from the 2011 brand spanking new line of Fisher-Price toys. 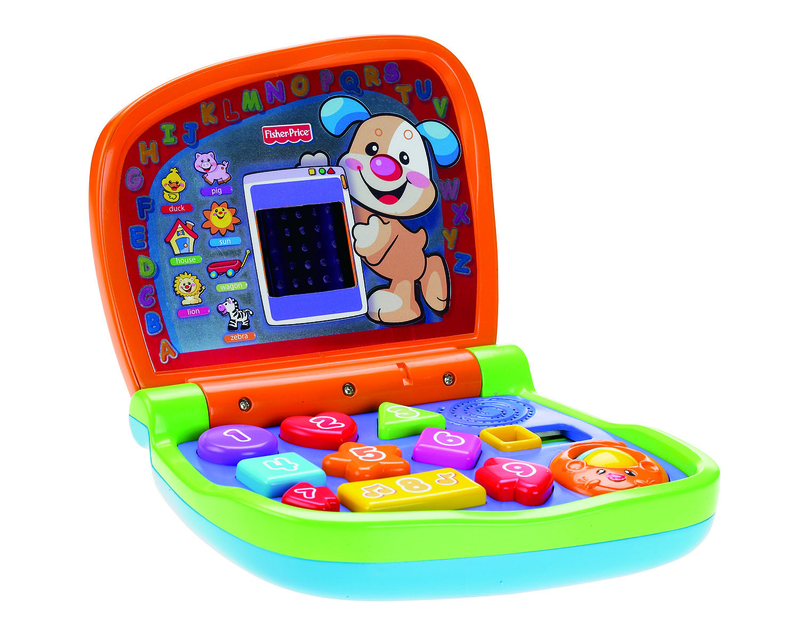 The Laugh & Learn Smart Screen Laptop is perfect for on-the-go fun! It includes three modes of play: Learning, Music, and Bilingual, as well as 12 sung songs so your little one can easily learn about colors, shapes, the alphabet, numbers, opposites, objects, and more. Fun and educational? What's not to love?! 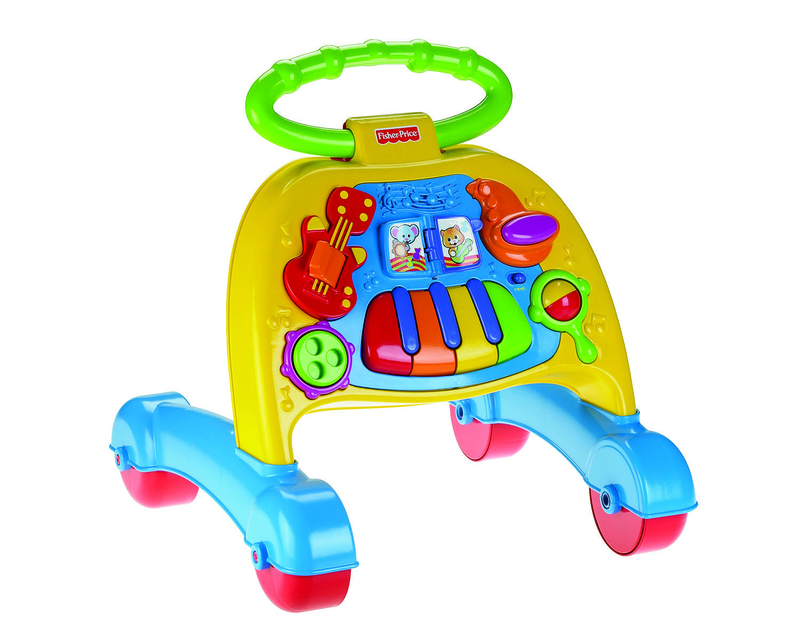 The Brilliant Basics Musical Activity Walker adds to the excitement of learning to walk in a really cool way. And when sitting, babies can busily play by tapping, spinning, turning pages, and engaging in fun musical tunes! 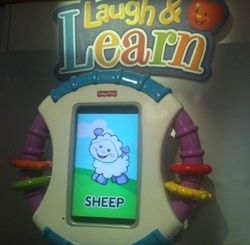 The Laugh and Learn is great for parents who let their children play with their iPhone or iPod Touch. This kid-friendly case fits all models of the iPhone and iPod Touch in order to protect it from falls and sticky little fingers. The best part: if the phone rings while your little one is playing their fave apps, you can answer the phone in the case. The Grow With Me Sit to Stand Scooter is so cool! 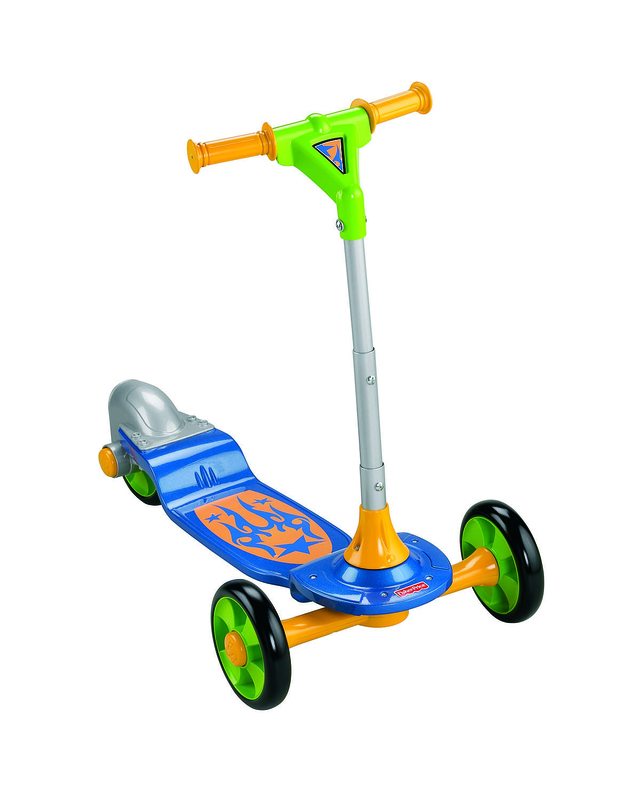 With its wide front wheel and adjustable handle to provide extra stability, it teaches even the youngest children (from 18 months) how to scoot like a pro. Parents can set it up as a foot-to-floor ride on or as a scooter, which makes it super easy for kids to master scooting at any level. 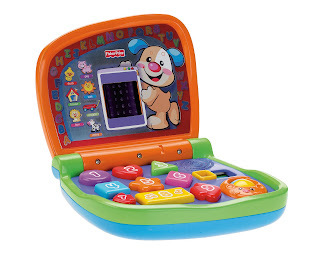 Visit Fisher-Price to see more of what they have in store for us this year. And remember, "Play. Laugh. Grow." I'm so corny... but I know that already. To see more photos of this fun event, including fab pics with other great bloggers, visit Mommy Delicious on Facebook. **Disclaimer: Event attendees received a gift bag from Fisher-Price. All opinions and recommendations expressed herein are my own. I found your blog very interesting. I have long since left the parenting stage of children playing with toys, but I thought my young friends who are parents would love your posting. Great review of the event. I've always loved those colorful stacking rings (giant ones you're standing next to). So sad I missed this event but glad you guys had fun! Have to look into that scooter for the summer. So much fun and fabulous to see you as always! Love your Facebook pics! How fun! What great toys. I am so jealous that you fab NY mommy bloggers get access to all of the fun events. I wish they sold that large stacking thing you are standing next too. Some days when I wish I was a kid again, that would put me right at ease! Love your bag..you look great!